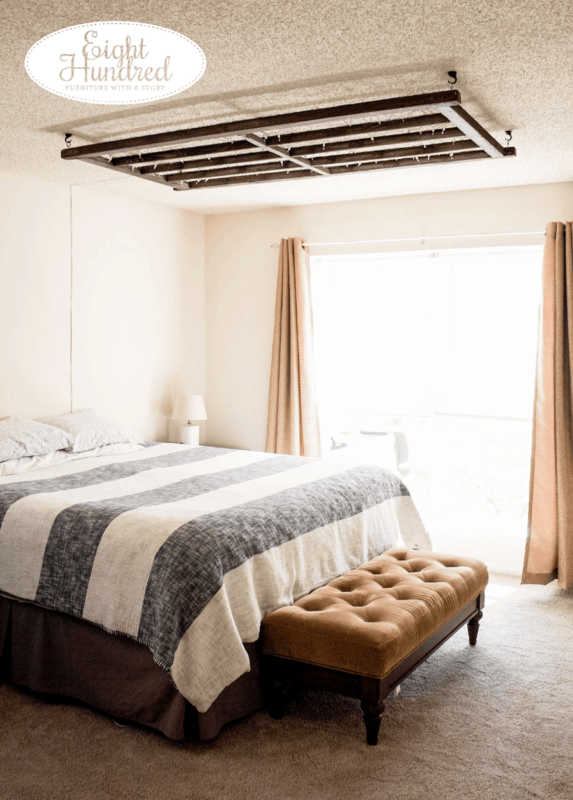 If you’re just joining me here on the blog, I’m in the middle of doing a series that takes you through a furniture project from start to finish. You can catch up on Part 1 here. Remember our project from yesterday? 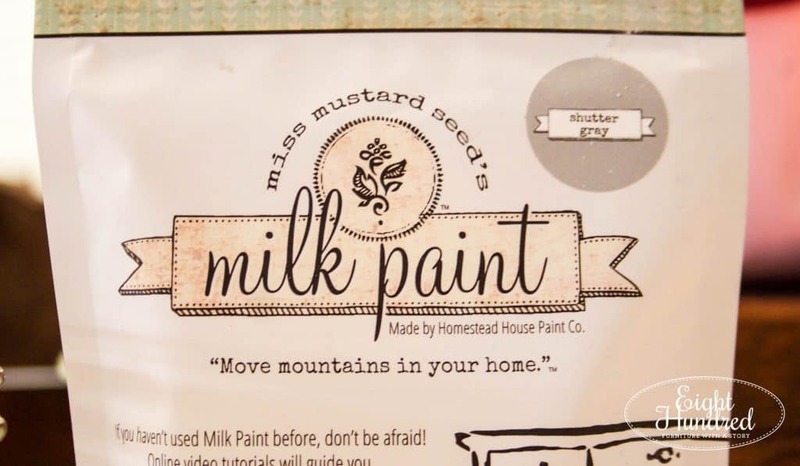 I choseMiss Mustard Seed’s Milk Paint for my project. 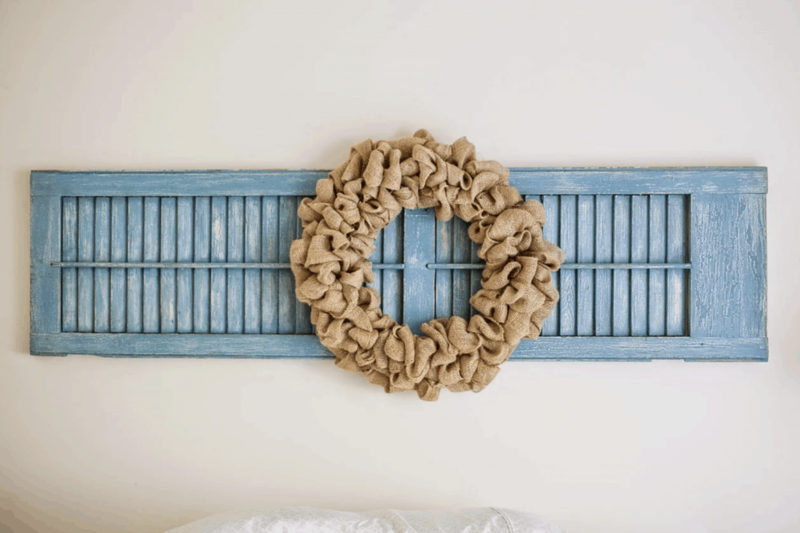 It differs from chalk paint in that you have to mix it with water. It also absorbs into raw wood like a dream instead of just sitting on the surface like latex. 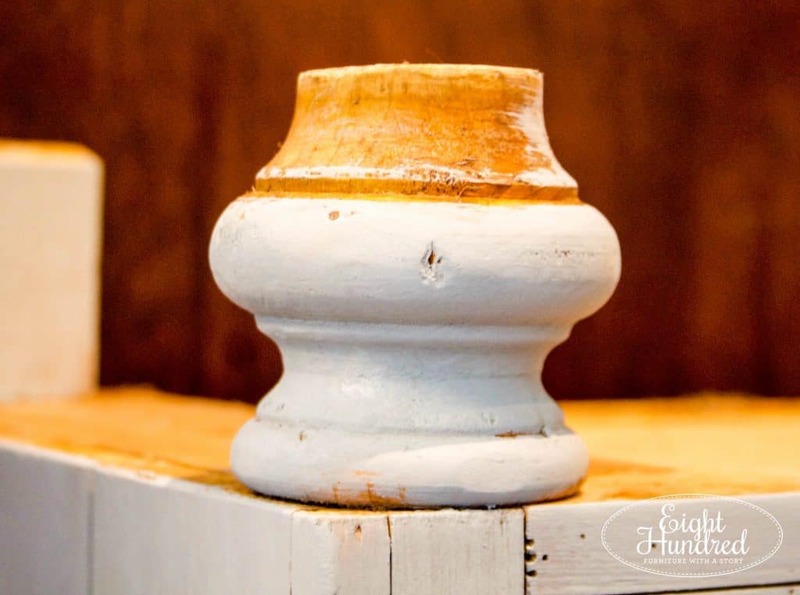 Milk paint comes in powder form and has an indefinite shelf life until it’s mixed. Once mixed though, it becomes perishable and can only last a few days in a covered container (although I don’t recommend using it beyond 2-3 days). I’ve heard that keeping it in the fridge helps, but you have to stir it well before using it again. This kind of paint is a mix-as-you-need-it type of product. 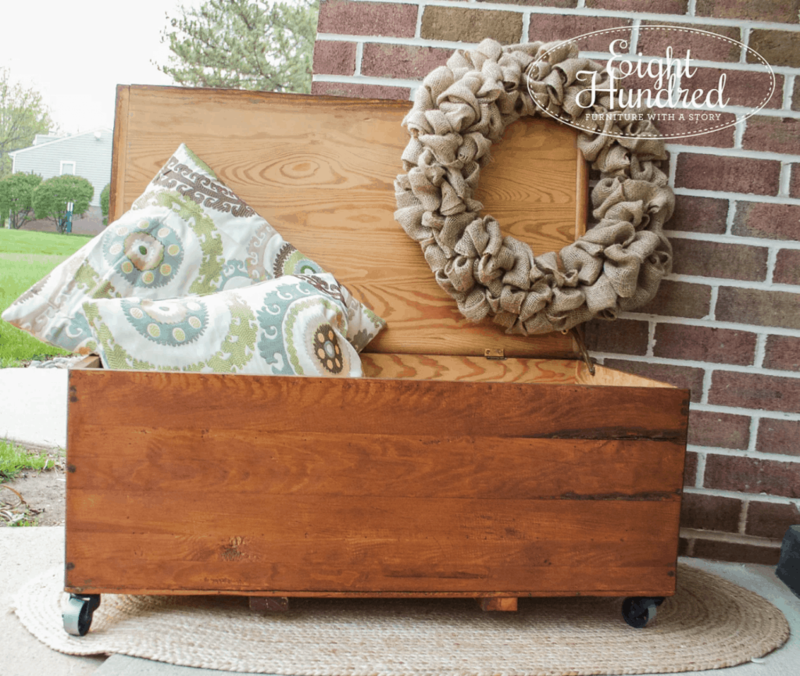 Milk paint is also made from 100% natural ingredients. It contains absolutely no VOC’s, so it’s great for painting indoors or for those who are sensitive to fumes. It is perfectly safe for pregnant women to use as well! 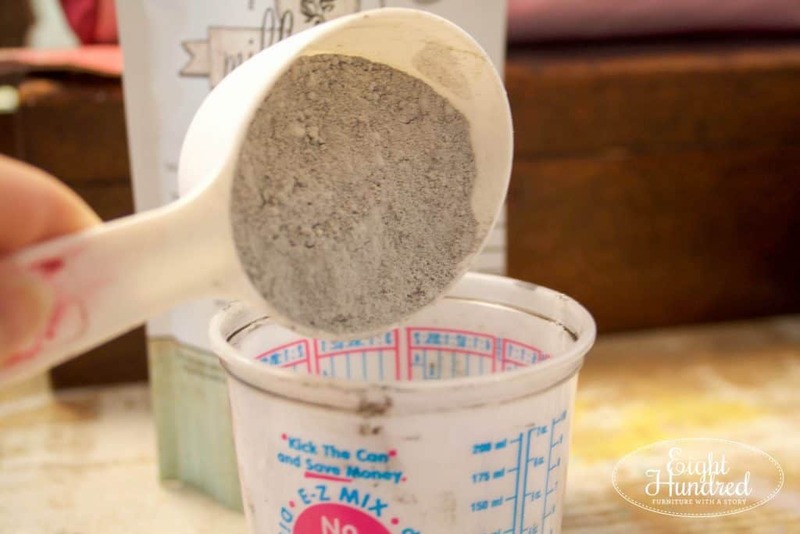 Milk paint contains five natural ingredients – clay, limestone, chalk, casein (milk protein, hence the name “milk” paint) and iron oxides for pigments. That’s it and that’s why I love it! No harsh chemicals, no fumes, no fuss. 100% natural and 100% gorgeous results. 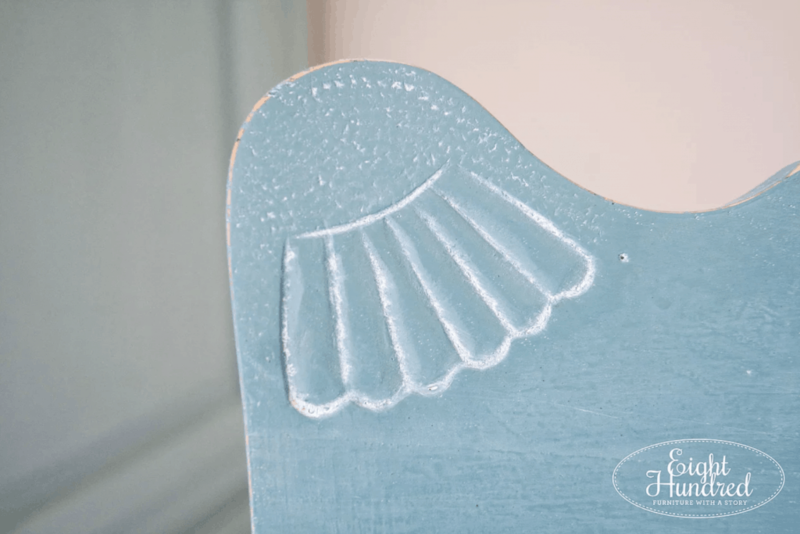 To mix milk paint, you need a couple of things – milk paint in the color of your choice (there are such beautiful colors to choose from or you can mix), a measuring cup/spoon, water (can be tap water), a mixing container (I usually use plastic cups or mason jars), and something to mix with. I prefer a mini whisk but you could use a popsicle stick. My piece will be painted in MMS’s Shutter Gray because it’s a pretty whisper of a color. It can look gray, blue, or even lavender depending on the light and what’s around it. 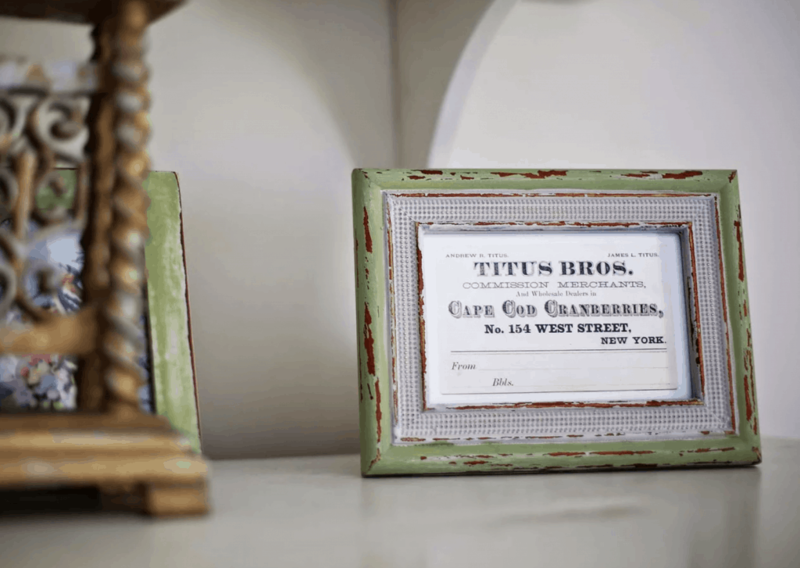 It was named after a pair of antique shutters that Marian Parsons of MMS had in her home. She loved the color so much, she added it to her line! Every color in her collection has a story behind it (which I love). 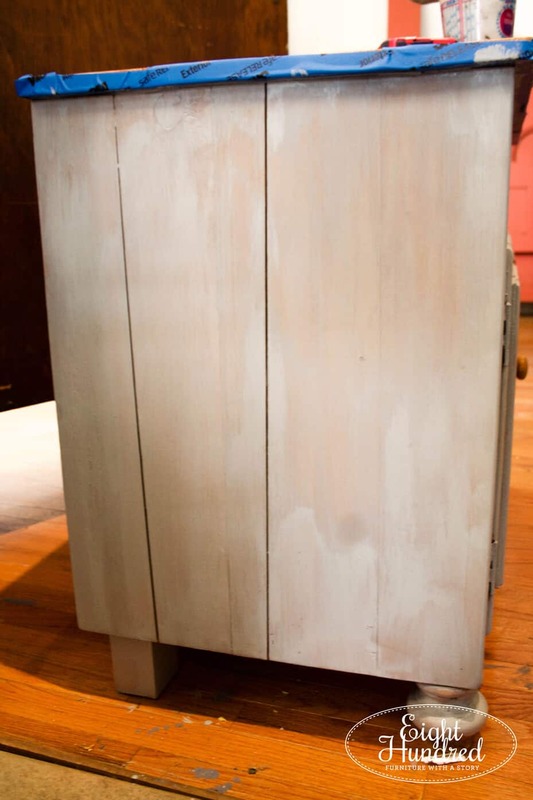 I knew I would need two coats to get full coverage, so I mixed 1/3 cup of milk paint with the same amount of water. Your ratios don’t have to be exact. 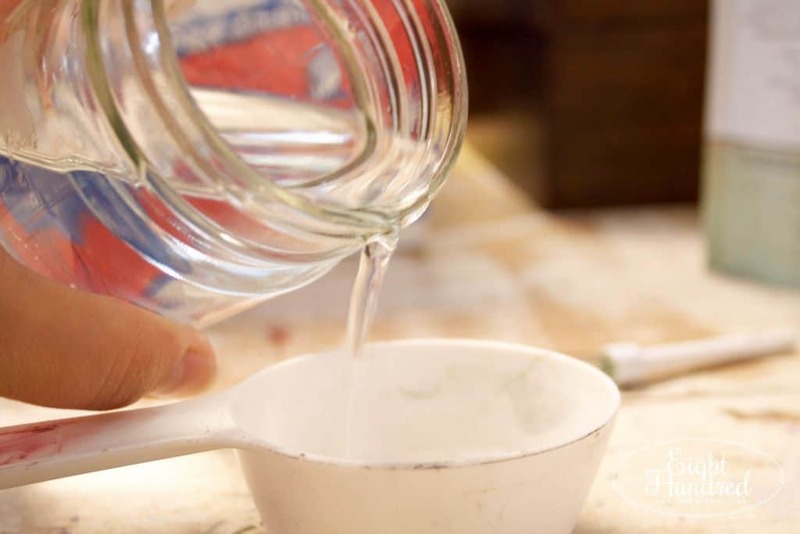 You can add more powder or water as you mix if your consistency is too thick or watery. 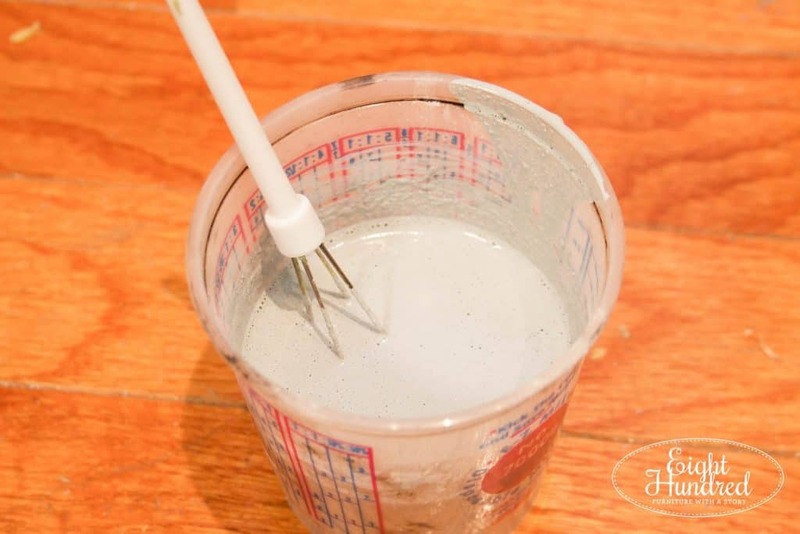 Tip – Mix your paint for a good solid minute and then let it sit. Go gather the rest of your painting supplies, get a drink, or check email. Then come back and mix it again. This “waiting” period gives the powder time to absorb all of the water. The consistency won’t be like chalk paint or latex. It’s thinner and more watery. If it looks like cake batter, it’s too thick. If it looks like runny milk, it’s too thin. Usually a 1-to-1 ratio does the trick. 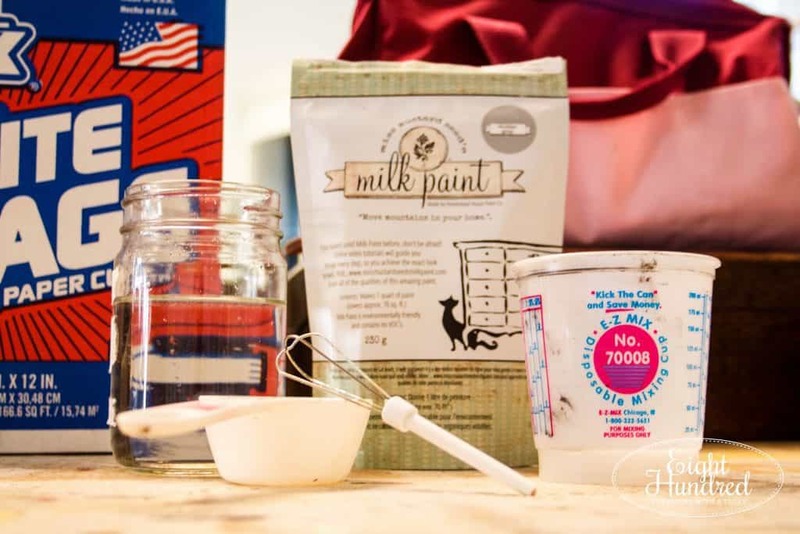 Miss Mustard Seed also has excellent videos you can watch on her YouTube channel to give you more tips when it comes to mixing and just about everything else milk paint related. 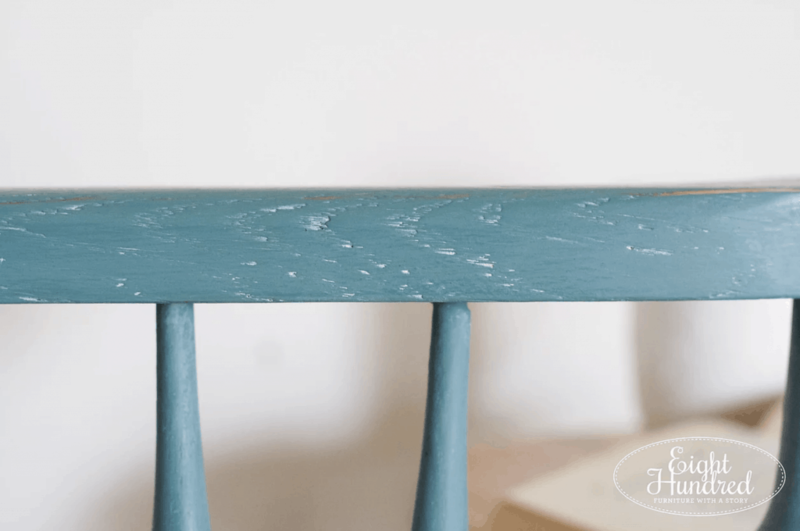 I applied my milk paint with a regular flat brush – nothing fancy. As you paint, make sure you stir your paint every so often to keep the pigments properly mixed. Here’s what my cabinet looked like half-way through. 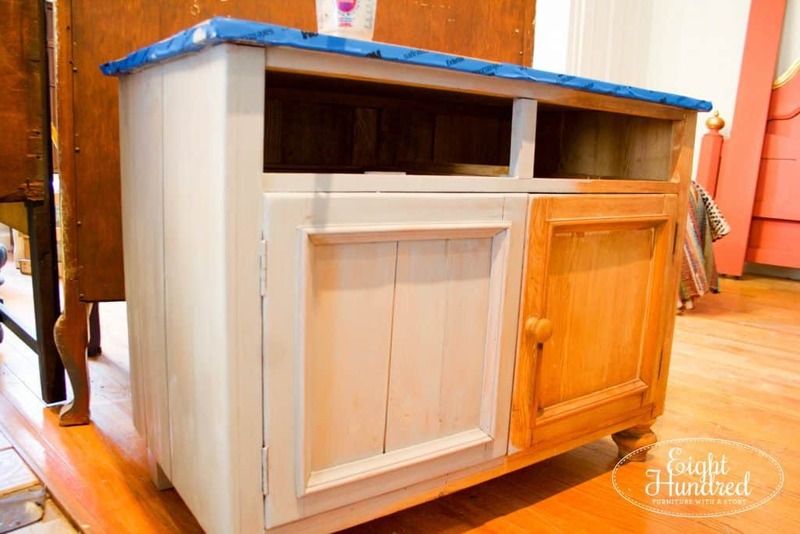 Don’t be scared by the first coat of milk paint! It will look thin, streaky, and half-covered. That’s totally normal and you haven’t done anything wrong! 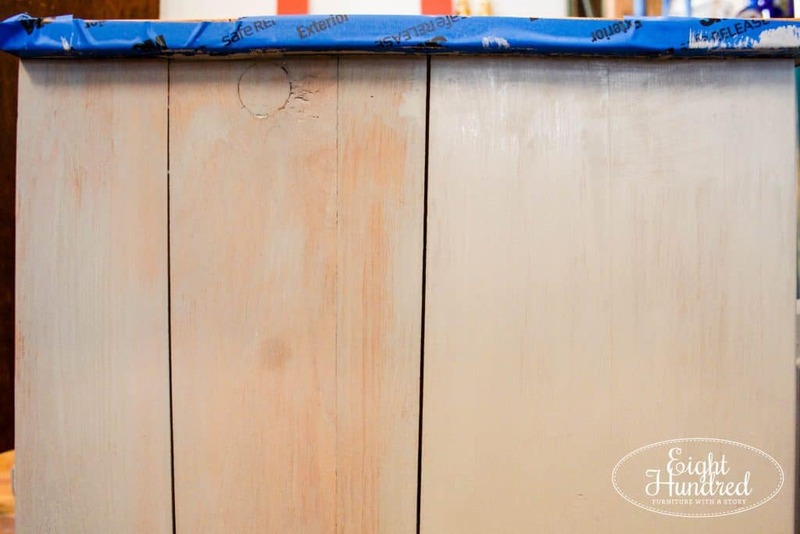 Push through and let your first coat dry completely before putting on a second coat. (You may even need a third coat if you’re doing white.) 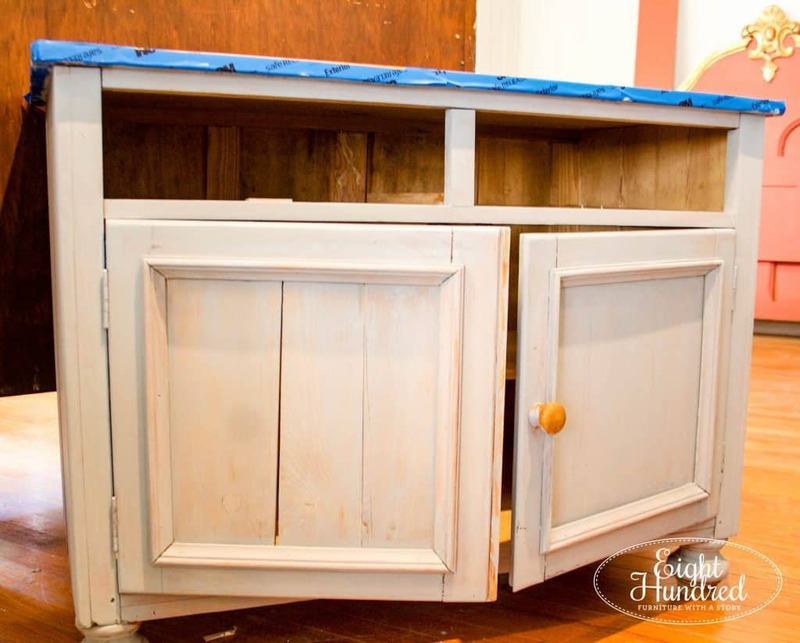 Miss Mustard Seed often refers to the first coat as the “ugly stage” often on her blog, which I find comically appropriate. 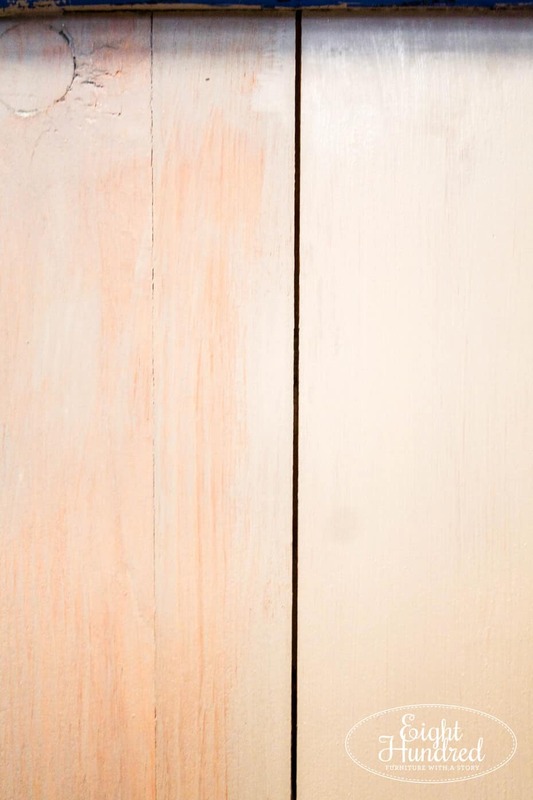 Here’s a good comparison to show you the difference in coverage between one and two coats of milk paint. One coat is on the left and two is on the right. One coat looks more like a wash. Can you see why it’s worth pushing through the first coat to the second? Plus, you’ll get a chuckle out of seeing your project with its legs up in the air. 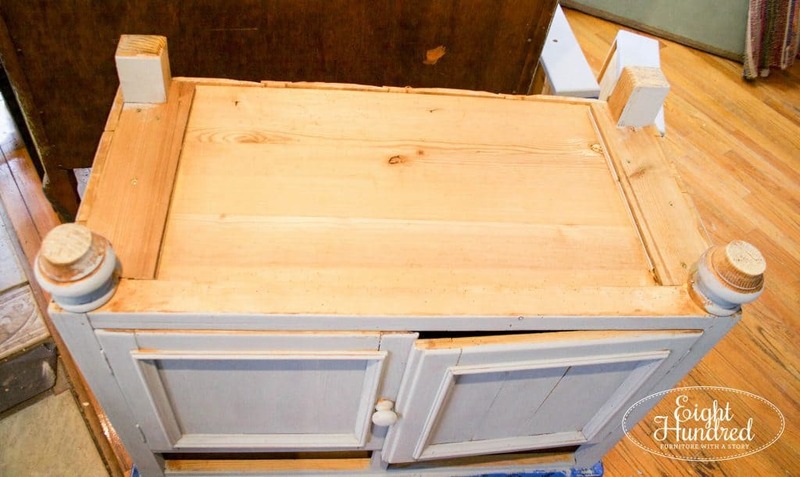 Sometimes I take the doors off and remove the drawers when I paint a piece. For this project, I took the drawers out and painted them separately. I left the doors on and painted the hinges. 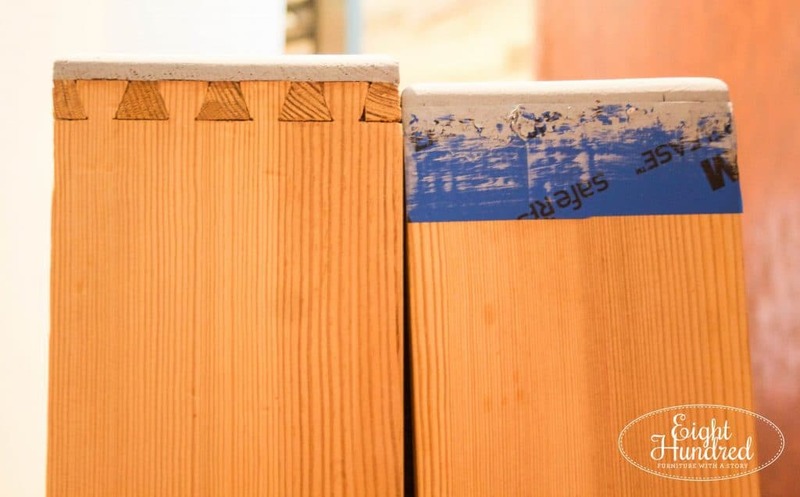 See how using painter’s tape makes a clean line on your drawers? That’s prep work right there! Once your piece is all dry, it’s time to distress (if desired) and seal it. Tune in for Part 3 when we talk about waxes, oils, and other topcoat options! For now, here are some other projects I’ve painted with milk paint to give you an idea of the different looks you can achieve. This shutter was my old headboard and it painted in French Enamel. 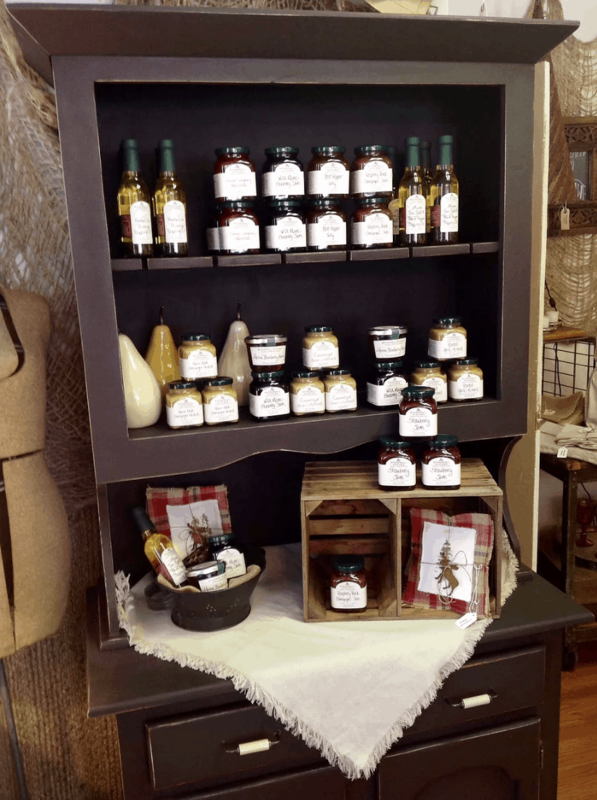 This hutch is wearing Curio, a velvety chocolate brown. 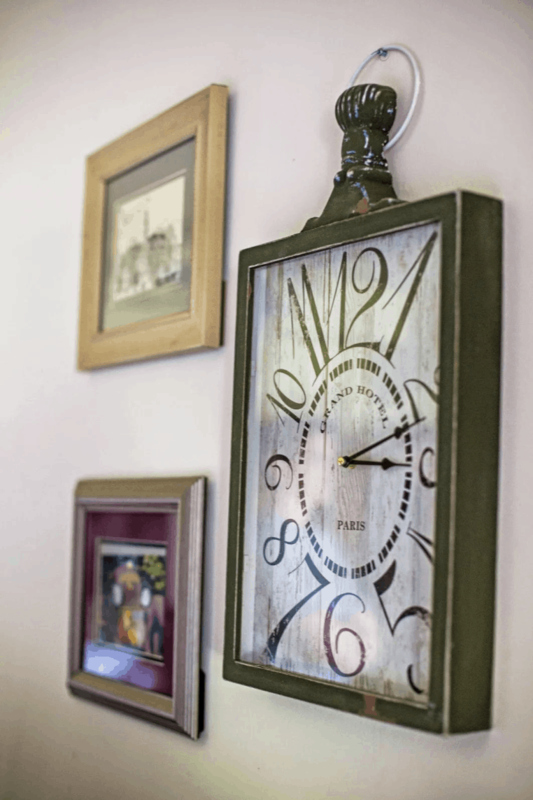 Boxwood made this clock pop on my gallery wall in my family room. This little guy is painted in Lucketts Green and Grain Sack. 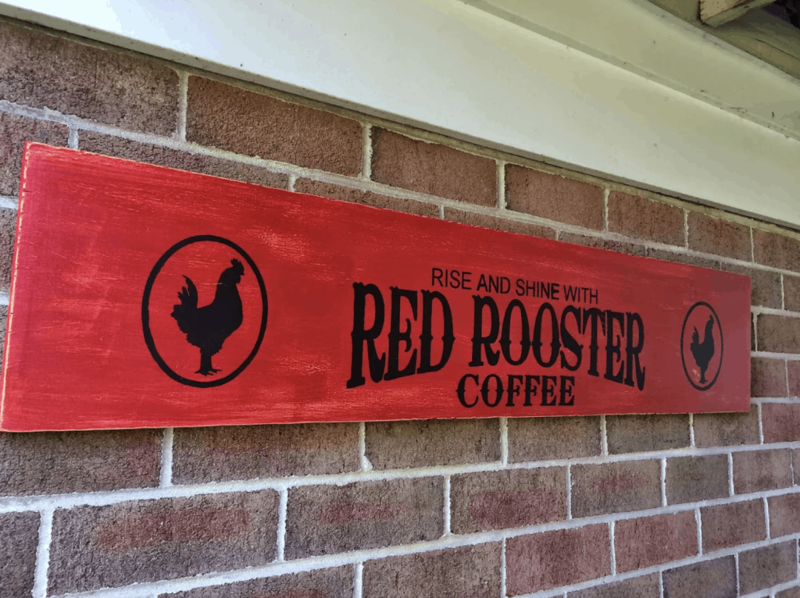 Tricycle was the perfect red for this stenciled sign. This greenhouse window turned into a light fixture in our master bedroom. All I used was hemp oil, but it was enough to revive the dried out wood on the frame! 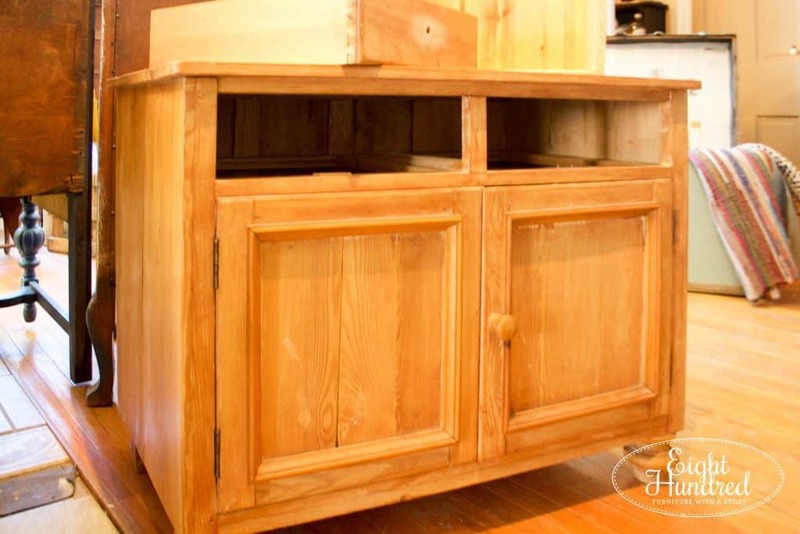 Here’s another piece that was stripped down and finished with just hemp oil – nothing else. 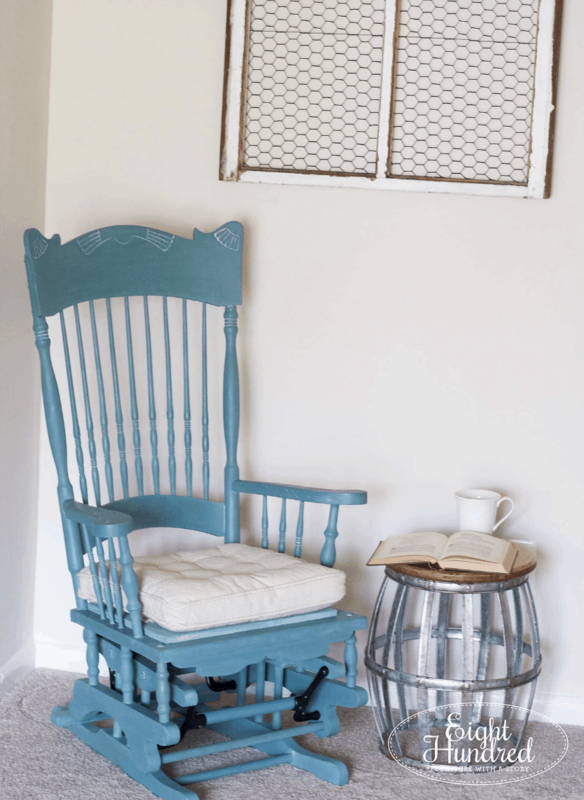 This rocking chair was finished in Kitchen Scale and white wax. 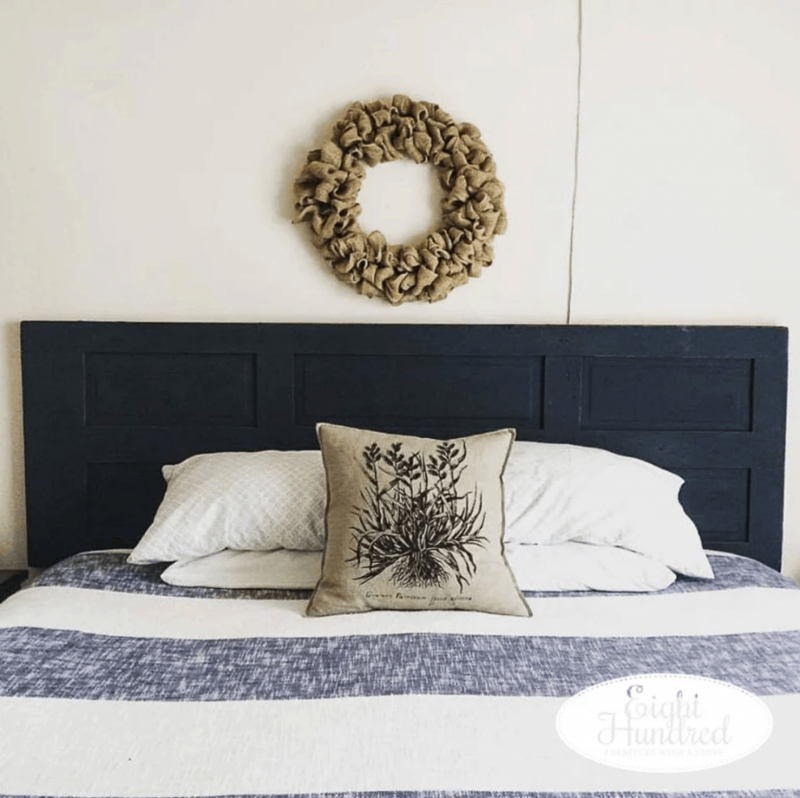 Artissimo is MMS’s navy and it adorns our new headboard we made from an old wooden door. and I have not received any compensation for this post. of my own personal use of her amazing products. I hope you come to enjoy her paint line as much as I do!